We believe each coffee is unique. We ensure that each batch of coffee is roasted bespoke to the coffee’s individual needs, taking into account the varietal, the altitude and the processing method. We import the best green (raw) beans from all over the world to our small roastery here in The Burren. 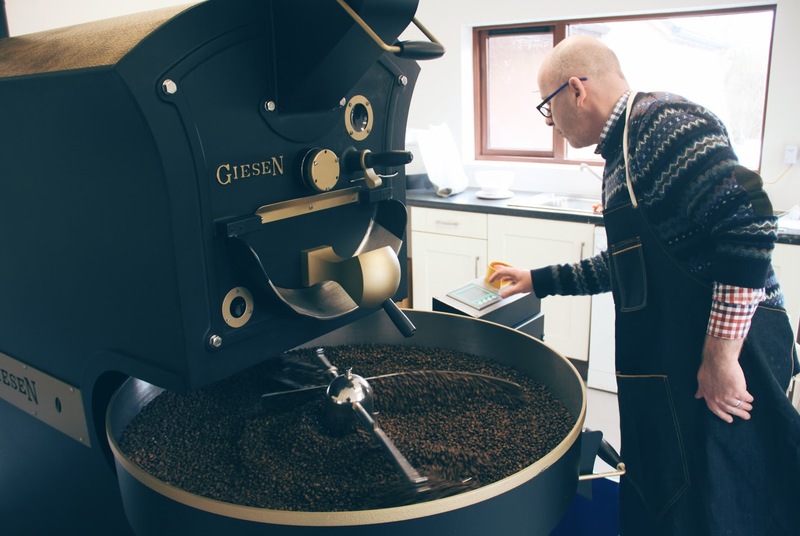 All our coffees are roasted by-hand, in small batches on our Giesen coffee roaster, purpose built for us in Holland. The roaster uses propane gas to heat the beans in a cast iron drum where they are being continually rotated.Coffee roasting is a precise art and we use cropster software to record each batch ensuring we produce a consistent flavour profile. But there is no automation in roasting. We do everything by hand. 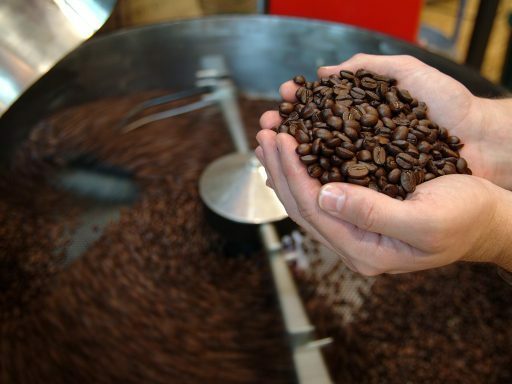 Each roasted batch is subsequently evaluated through rigorous cupping as the roast profile and roast development are crucial to flavour development. Our goal is to unlock the many potential flavours hidden within the raw bean through roasting, and to produce a great taste experience – balanced, and full of personality. Our roastery is located in a remote valley in the heart of The Burren between the villages of Carron and Kilfenora. The Burren is a GEOPARK and the region is located in Counties Clare and Galway, along Ireland’s mid-western Atlantic coast. Stretching over some 560 square km (216 sq. miles), it is composed mainly of exposed limestone reaching from sea level to a height of c. 300m At first glance, the Burren landscape can seem rather bleak. A cold landscape of grey limestone hills. The Burren however to those of us who live here is anything but bleak. Patches of fertile soil burst with wild flowers and exhibit many beautiful colours to contrast against the grey landscape. We picked grey as our signature colour. It signifies a sense of place. Where the roastery is located and the place we call home. We are also proud supporters of local landscape charity Burrenbeo Trust (www.burrenbeo.com).